Firing Fallout: President Trump is reportedly enjoying a burst of self-confidence that has lowered his inhibitions. Over the weekend, he rejoiced over the firing of the former FBI Deputy Director Andrew McCabe, whom he’s attacked multiple times on Twitter. 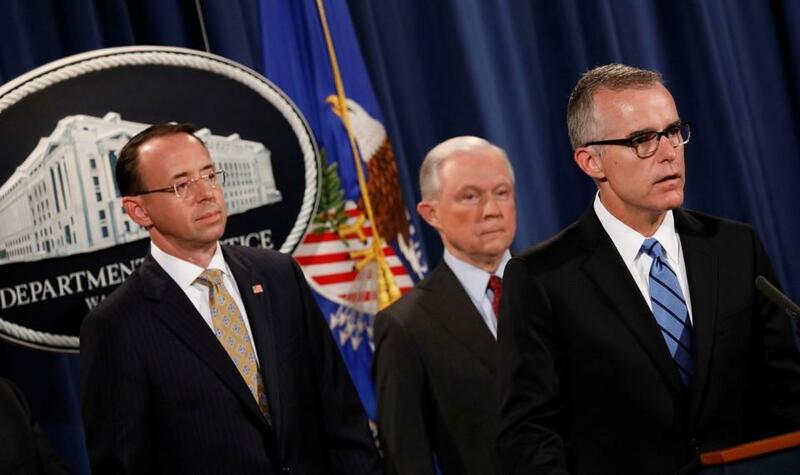 Although McCabe’s dismissal was technically carried out by Attorney General Jeff Sessions, those past attacks call the Justice Department’s independence into question. Does this moment fit the definition of a constitutional crisis? Quinta Jurecic and Benjamin Wittes propose a different term: constitutional rot.